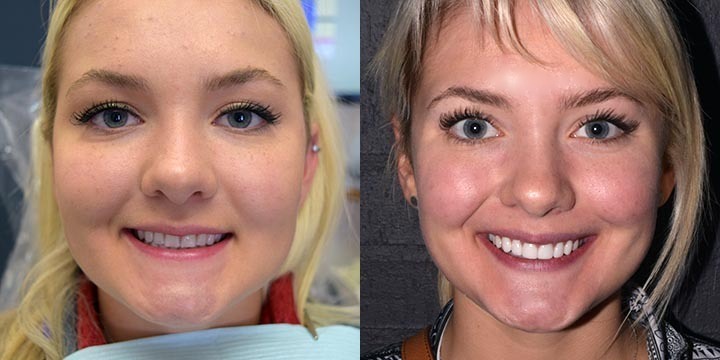 Here are pictures of porcelain veneers before and after (top eight front teeth). Spring Creek Dental can provide natural looking and esthetic veneers. They can give you a whiter, brighter smile!